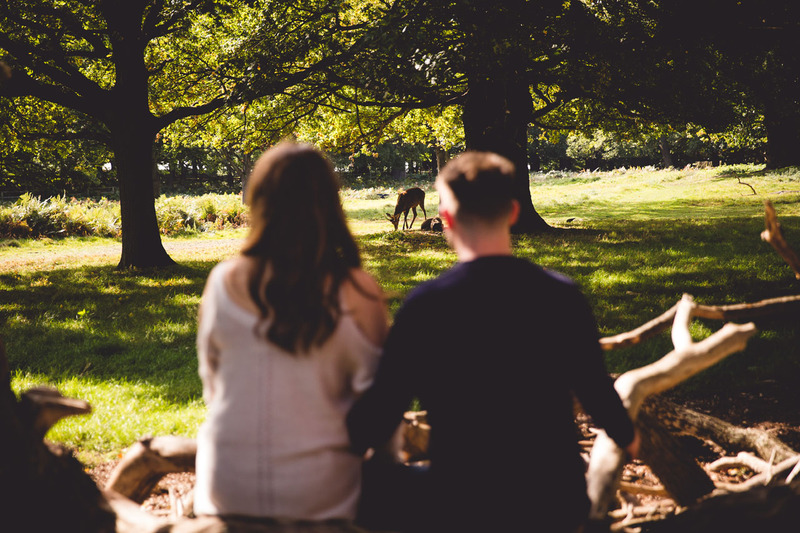 One gorgeous Sunday in September 2017 we met Liz and Luke for their engagement shoot in Richmond Park, just behind Pembroke Lodge wedding venue. It was a beautiful Autumn day and we had lots of fun taking photos with the deer, talking excitedly about their plans for the big day. 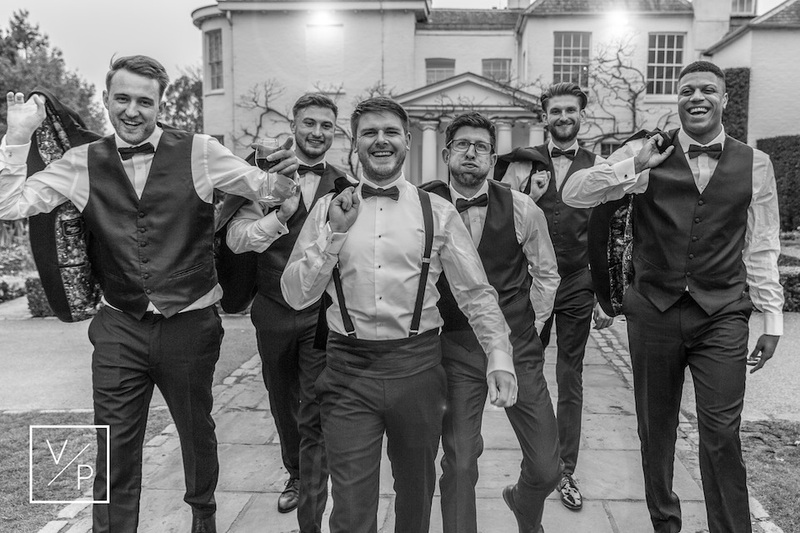 We had been recommended to Liz because we filmed her sister’s wedding at St Mary’s University Chapel in Twickenham which was a brilliant day so we were very excited to be asked again. 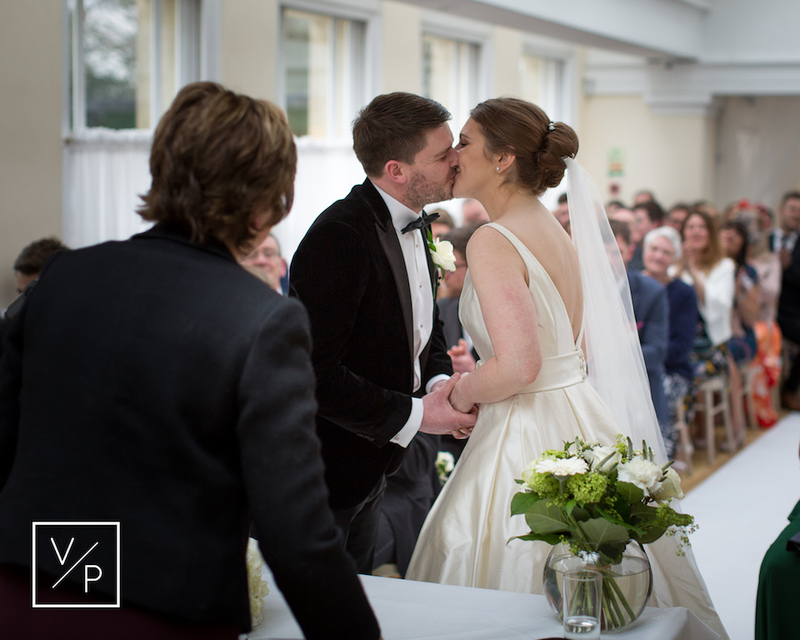 Liz’s email after receiving their wedding films and photographs made us smile – I think we are part of very few people in the world to be happy to hear their clients cried! Thank you so much for all of your hard work. We watched the full length video last night and I was in floods of tears it was amazing and just absolutely perfect! The day started with preparations at Richmond Hill Hotel. Liz’s mum created a classic, sophisticated up-do for Liz and her bridesmaid styled her make-up beautifully. Liz found her elegant wedding dress from The Dress in Teddington. Alongside the gorgeous bridesmaid dresses and men’s tuxes from Moss Bros, the dress looked stunning. Throughout the morning the dress hung hidden under a sheet as none of Liz’s bridesmaids had seen it. One of our favourite moments of the day was when they saw her for the first time. Definitely a goosebump moment! 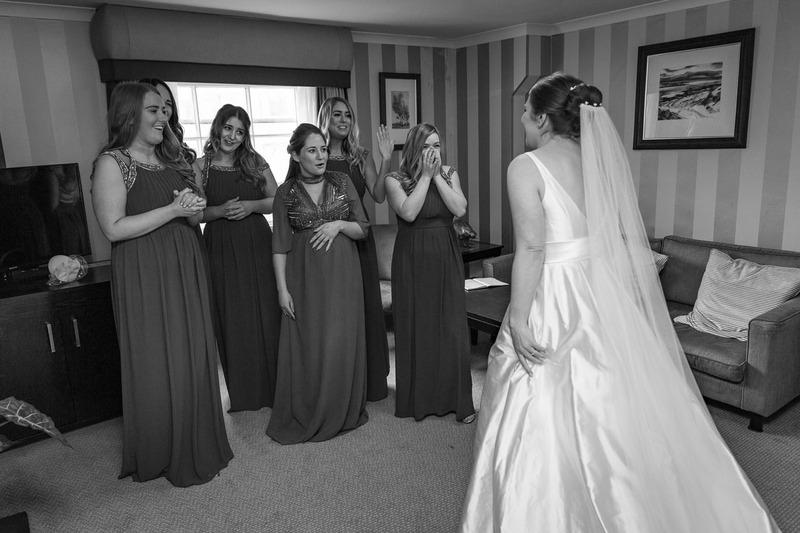 The Belvedere suite is wonderfully light and with gorgeous light flower arrangements from Eva’s Florist it was the perfect setting for the ceremony. There were so many beautiful moments throughout the ceremony. 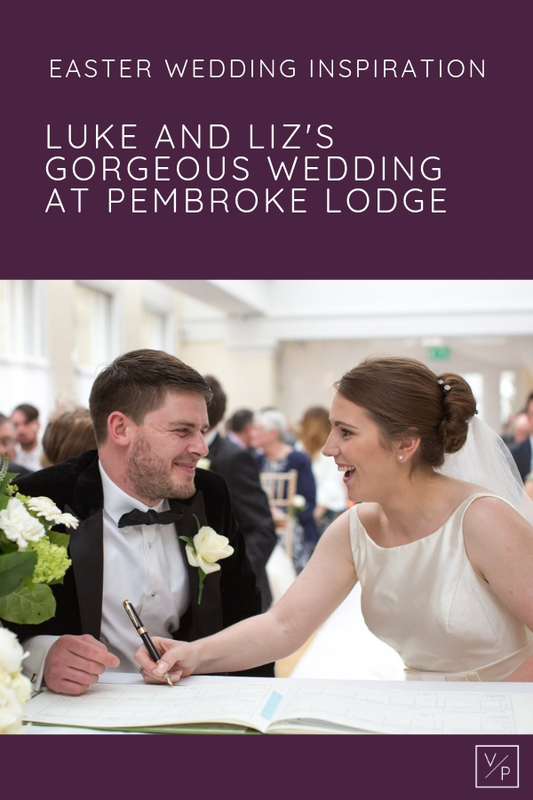 Most memorable was Luke holding back the tears as Liz met him down the aisle, Catherine – Liz’s sister – singing the most incredible rendition of I Will Always Love You by Whitney Houston and loads of confetti thrown as they exited! With balloons lining the top table supplied by Bam Bam Balloons, the reception looked fantastic. As it was Easter Sunday all the children were treated to an Easter egg too! After the delicious wedding breakfast we headed outside for fun photos with the wedding party. A huge thank you to everyone being so keen for fun photos, we love it. The evening party kicked off with a first dance by the newlyweds dancing to live music by Jason Darling. The fun continued with a fab magic mirror photobooth supplied by Platinum Moments. Thank you so much for having us Liz and Luke. We loved capturing your special day. Wishing you a lifetime of happiness together! 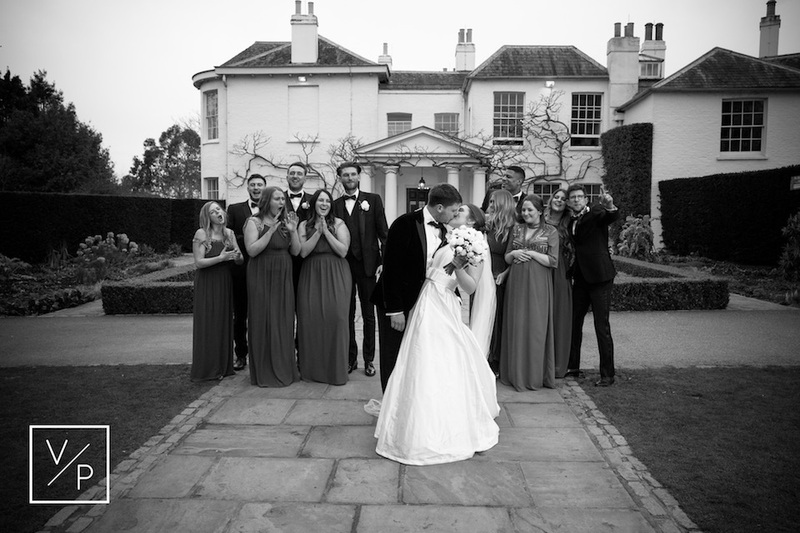 Getting married at Pembroke Lodge and looking for a videographer? Contact me below, I’d love to capture your special day. Love the fun group photos! Looks like a fab day! !